We write the best content on the Web—because you need the best content to compete. 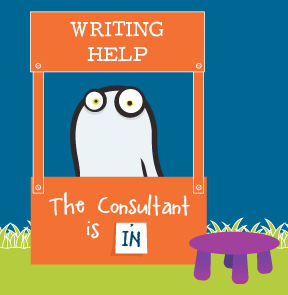 We ghostwrite customized, captivating digital content your prospects and customers love. 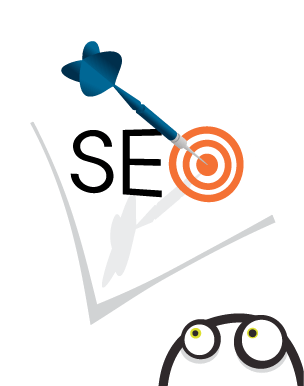 Beautifully written, compelling content is the heart of SEO—but when you need an SEO audit and/or help with the technical stuff, you can call on the Posts By Ghost SEO team. We get to know your team and your business, then we create a complete content marketing strategy designed to boost your presence and authority—and nail your marketing goals. Blogging for profit is hard work. Really hard work. When you find yourself without enough time to serve your expanding readership, it might be time to hand off some of that blog writing. What kind of content do your readers LOVE? We’ll help you analyze your best content, then create more in your exact style and tone. Need an SEO audit and/or help with SEO? We’ve got you covered there, too. We free up your time so you can do more of everything that makes you so interesting to your followers! We’re nerds. Nerds who know IT doesn’t have to be boring. We write about trends in technology, network security, IoT, AI, VR, OS, SaaS, cloud migration, big data, managed services, apps, gaming, skills gap and staffing issues, wearables, and so much more. We’ve got more acronyms than the U.S. Military and we will science the heck out of your content. Your clients need 100% of your brilliant and creative superbrains—and then some. We not only serve as a team of supplementary writers for agencies, we also help marketers like you get your brand message across, so you have more time to focus on your clients. We’re the marketer’s marketers and we love marketer marketing. Wait. Yes. SaaS businesses are unique.When you’re selling immaterial wisps of the cloud, it can be hard to communicate the benefits to your customers back down here on Earth. We take your prospects and customers from, “I don’t get this,” to “We CANNOT LIVE without this.” We write great content for CRM, IT/helpdesk, accounting, email marketing, and project management SaaS. From startup entrepreneur to seasoned CEO, let me guess: you’re pretty damn busy, right? Of course you are. You’re running the show—and the show must go on. So, are you generating leads through your website…or is it just kind of sitting there? You deserve a team of curious writers ready and willing to dive into your business, get to the heart of what you do and WHY, and shoot that message out to your prospects and customers. Let’s bring new business to YOUR door. Over the last decade of blogging, I've had a lot of people try to sell me their services as an expert and all too often I'm disappointed in the outcome. With Posts By Ghost the opposite is true! I was blown away at the volume of ACTIONABLE information that I was provided. Most importantly to me, they didn't try to hide anything away as information they would fix for me, but instead said here is the whole kit and kaboodle you can tackle it on your own or we are here to support you. Niki and her team were fantastic to work with and I saw significant gains in website traffic, higher rankings in Google and my site significantly improved overall. I appreciate the work she does. PBG was able to match my writer's voice better than any other writer I've worked with in the past. All around a pleasure to work with. We've been blogging for 6 years now, and our to-do list is endless. We've always wanted to dedicate the time to learn SEO and clean up our site, but there was no way we were ever going to have the time (or knowledge) to tackle this monumental task. That's where Niki and her team at Posts by Ghost came in! They have slowly fixed thousands of posts on our website and it's now running like a dream. Not to mention our pageviews have gone up and the overall health of our site is infinitely better. I couldn't recommend Posts by Ghost enough! I love Posts by Ghost! They did an SEO audit of my site and it was superb. I wish that I had done it sooner! They have a deep understanding of SEO and they have helped to take my blog to the next level. I have always found them to be extremely easy to work with, friendly and very professional. If you need an SEO audit of your blog or website, I highly recommend the Posts by Ghost team. Posts by Ghost rocks! Their content and blog management team is easy to work with, helpful and willing to go the extra mile. They matched my tone and style perfectly to provide content that was exactly what we needed to continue to grow Busy Budgeter into a thriving business. Plus, they understand SEO and other nitty-gritty details that bloggers face. If you’re ready to take your blogging business to the next level, they’ll get you there. Working with Niki and the Posts By Ghost team has been a seamless and enjoyable experience from the start. Not only is the content her writers create spot on and relevant to our industry, it is always well-researched, rarely requires more than a proofread, and it’s always supported by independent, third party sources. I would encourage anyone looking for a solid content creation resource to engage with Niki and her team. Niki and the Posts by Ghost team are so easy to work with. 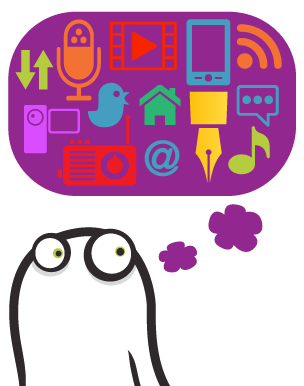 I’ve worked with Niki for several years now, not only on my business copywriting, but I’ve also entrusted Posts By Ghost with my client copywriting projects. Before working with Niki, I had no website, no blog, and no clear branding message. They take the time to really understand the imagery and voice I want to portray. She and her team have become an integral part of my business and I love that I am able to offer so much more to my clients. I look forward to continuing to work with Posts by Ghost in the future. We never want our content to sound biased, salesy or pushy; doing so goes against our principles and core values. It’s important our writing exposes the facts the way they are—nothing more, nothing less. Niki and her writing team understood these objectives from the beginning, which was very important to me. Plus, they weren’t afraid to jump into the complex world of logistics IT and create well-researched and meaty blog posts packed with relevant information. I also love the way they wrote our website content. They really got to the heart of our organization. It’s art. Thank you, Niki and Posts By Ghost! 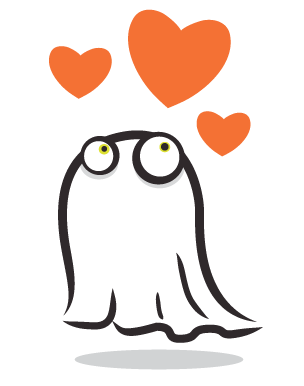 Niki Robinson and her writing team at Posts By Ghost have worked seamlessly with our agency for years, creating excellent content for our organization as well as for a number of our clients. They're always reliable and on time, and we just love the imaginative content they've come up with and created. I certainly recommend this creative and organized team. As an influencer with a large audience, there's a lot of pressure to create in-depth, well-researched content that my readers will love, and more importantly, that will actually provide value. Working with Niki and Posts By Ghost over the last few years has helped me create a consistently excellent flow of content. Niki's team has really taken the time to get to understand both my voice and my readers' needs, which is so important. I'm incredibly grateful to be able to work with Posts By Ghost! Ruth Soukup - Founder, Living Well Spending Less Inc.
We have worked with Niki Robinson and Posts By Ghost since 2013 for all our content and clients' content needs. We are very pleased with the level of professionalism from the writers and have experienced a very high level of customer service from their leader and project manager, Niki. We look forward to continuing to work with their team and would highly recommend them to any person or company looking for professional writing! Thanks, Niki and PBG team! Excellent job, as always. No matter how many technical details I throw at you, you always manage to get my point across in a clear and professional tone. Thank you again! I consider Niki Robinson one of my top writers. Niki gets in the guts of her subject, pulls out the facts and presents the story in a compelling readable style. She is indispensable to us. Thanks Posts By Ghost. I appreciate the time and care you take in the editing process. It still looks like my message and my style of writing. You are good. The writers at Posts By Ghost remind me of how enjoyable it can be to work with freelance creativity. They are consistently on time and always self-motivated. They’re not afraid to ask questions and they’re all creative and excellent wordsmiths. You won’t be disappointed!